Step 1: Draw about a one-inch circle on either side of the flesh. Step 2: Peel all of the skin except where you’ve drawn the circles. 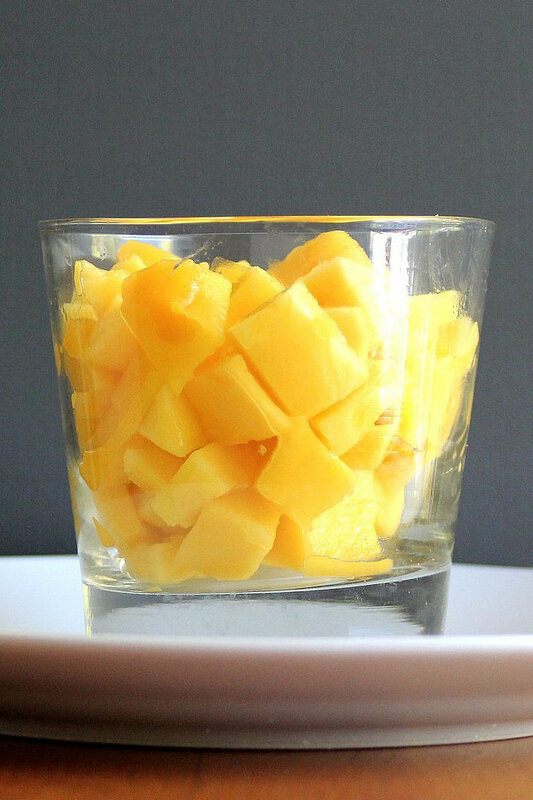 Step 3: Slice a chunk off the bottom of the mango so it can rest on a flat surface. Step 4: Holding onto each of the circles with one hand (this prevents slipping), use your other hand to slice off the flesh on either side of the pit. Step 5: You’re left with two equal pieces of mango flesh (the center piece contains the pit). Step 6: Lay the “cheeks” down and peel off the remaining skin. Then slice into cubes, and enjoy! To see Alton’s breakdown, watch the full video, but be warned: there’s (fake) blood involved. Start watching at 1:40 to avoid any graphic parts.